After 35 years of outstanding global success, the classic NSK EX handpiece series has now evolved into a new stage. 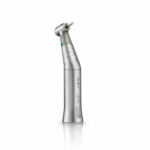 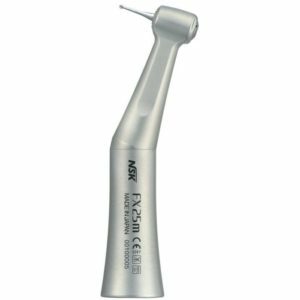 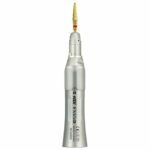 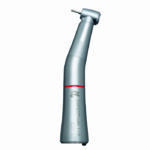 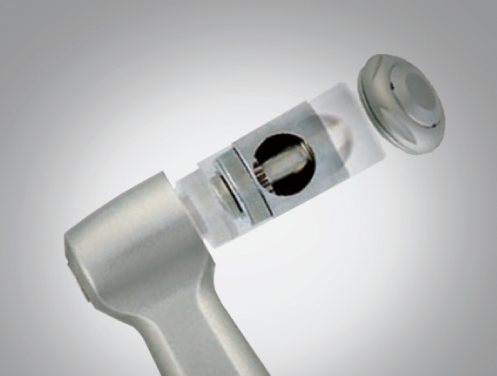 NSK FX handpiece series – a modernisation of the EX series. The traditional NSK simple design technology, functional reliability, durability, and cost effective pricing still remains, but FX has been updated to an integrated design in response to modern demands. 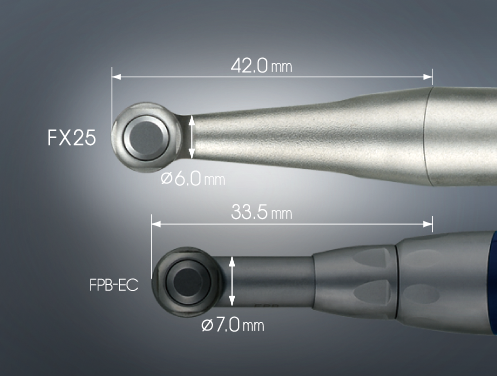 The extra slim head and body design greatly improved direct and indirect visibility to the oral operational field. 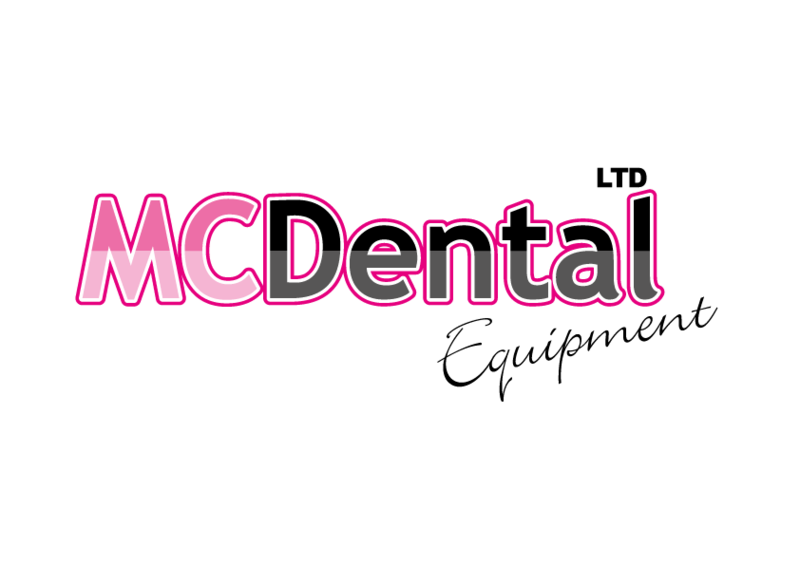 This includes increased visibility of even difficult access areas in the oral cavity. 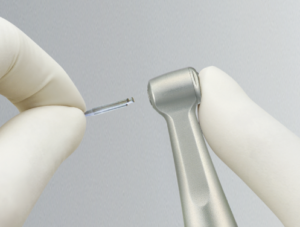 In some instances cartridges are easily replaced in surgery with the accessory tools supplied with the new product. 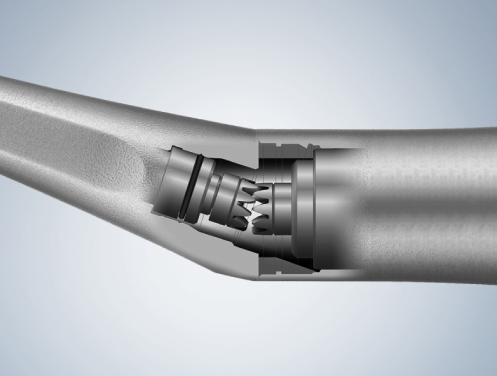 Service costs and downtime are reduced. 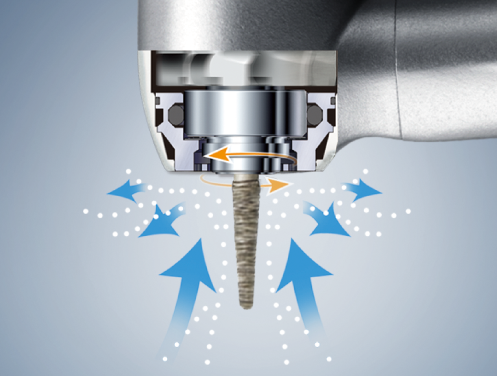 The high precision gears run quiet and are supremely durable, which also reduces uncomfortable vibration.